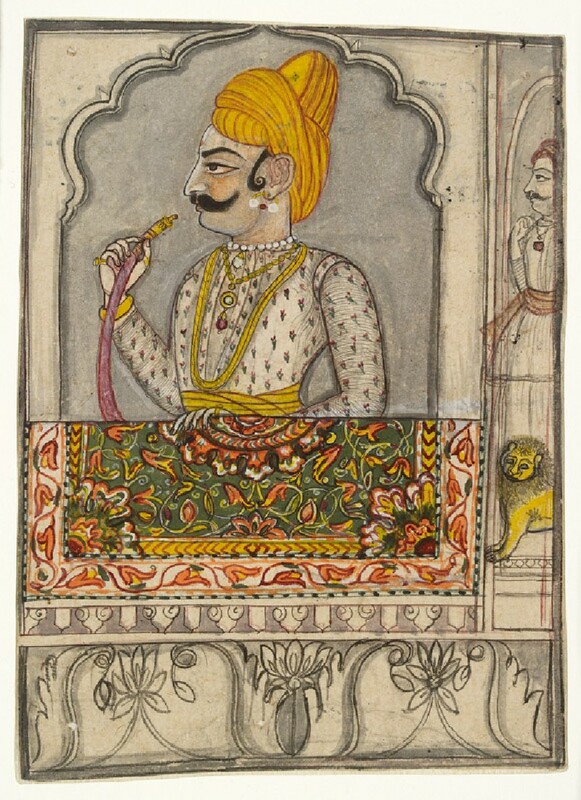 Conventional in its subject yet quite freely painted, this portrait of a ruler appearing at a jharokha or palace window depicts Fateh Singh of Sitamau, a small former princely state within modern Madhya Pradesh. 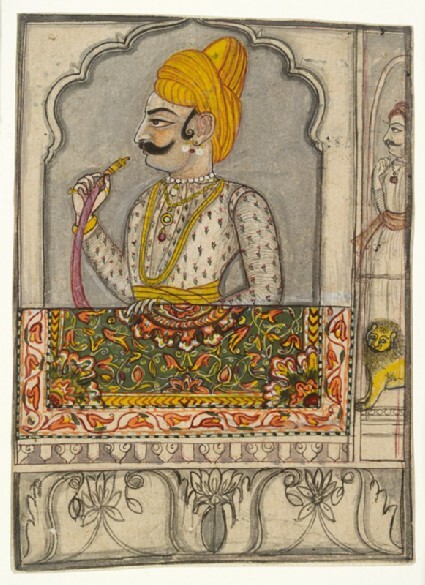 Holding his hookah tube and resting a hand on a coverlet draping the balcony, the moustachioed Raja is framed by the cusped window surround. An abbreviated attendant figure and ornamental lion appear on the right. The architectural and textile details are boldly brushed in, with the use of washes. 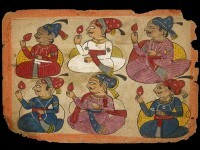 This picture can be attributed to Svarup Ram, an artist associated with the city of Mandsaur in the same region.